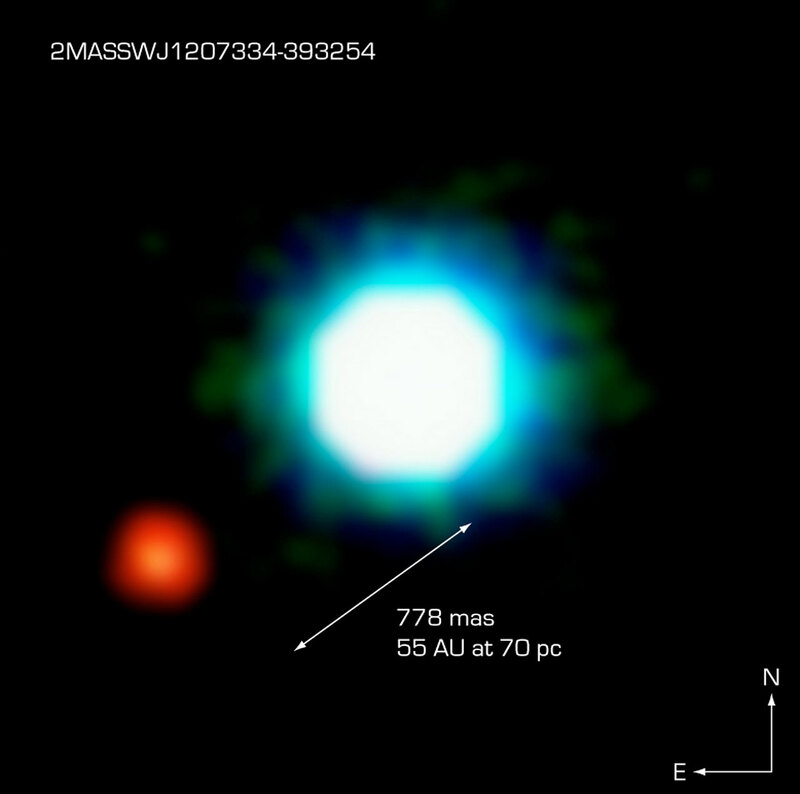 This is a composite image of the brown dwarf object 2M1207 (centre) and the fainter object seen near it, at an angular distance of 778 milliarcsec. Designated “Giant Planet Candidate Companion” by the discoverers, it may represent the first image of an exoplanet. Further observations, in particular of its motion in the sky relative to 2M1207 are needed to ascertain its true nature. The photo is based on three near-infrared exposures (in the H, K and L’ wavebands) with the NACO adaptive-optics facility at the 8.2-m VLT Yepun telescope at the ESO Paranal Observatory.